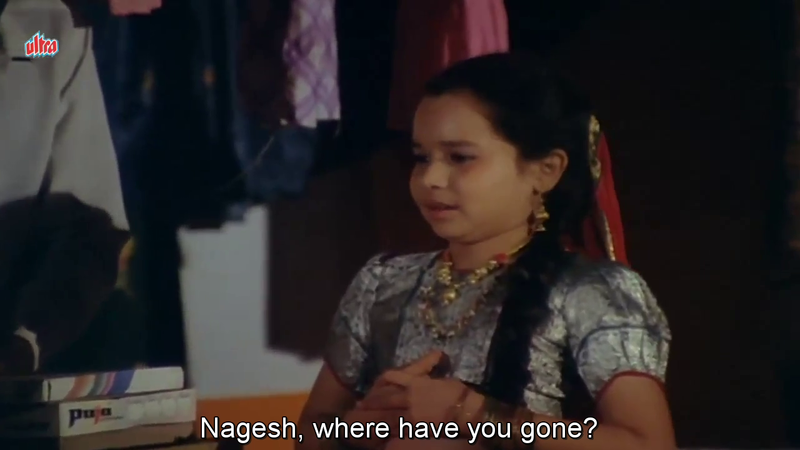 I’m surprised there isn’t more written about Mohanji Prasad’s Nache Nagin Gali Gali. 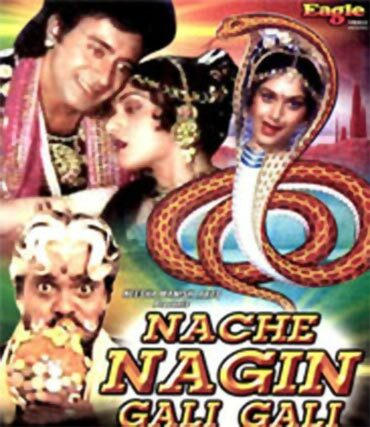 It’s a late 80s B movie, sure, but it stars Meenakshi Seshadri and is full of dancing and snakey masala plot twists. 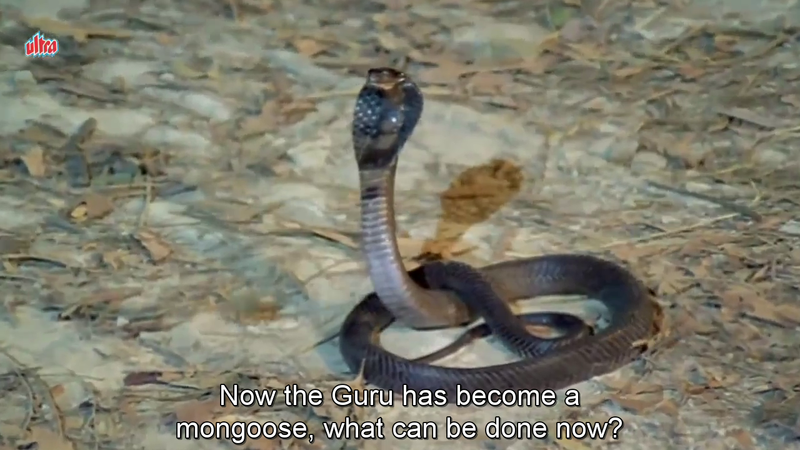 I was lucky enough to watch this with the virtual company of two most excellent friendly bloggers and snake film fanciers, Beth and Liz and with access to the helpful Filmi Snake Spotter’s Field Guide. 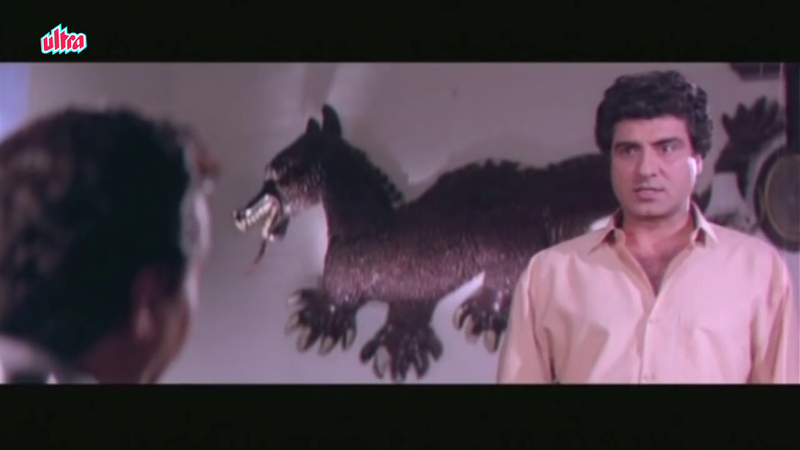 Mohini (Meenakshi) and Nagesh (Nitish Bharadwaj) are Icchadhaari Nagin; snakes who can transform into human shape. 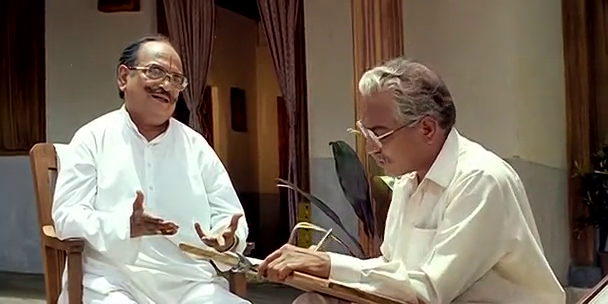 A magician (Sadashiv Amrapurkar) wants to steal Nagesh’s naag mani so he can enter a magical realm and find a cure for his leprosy. 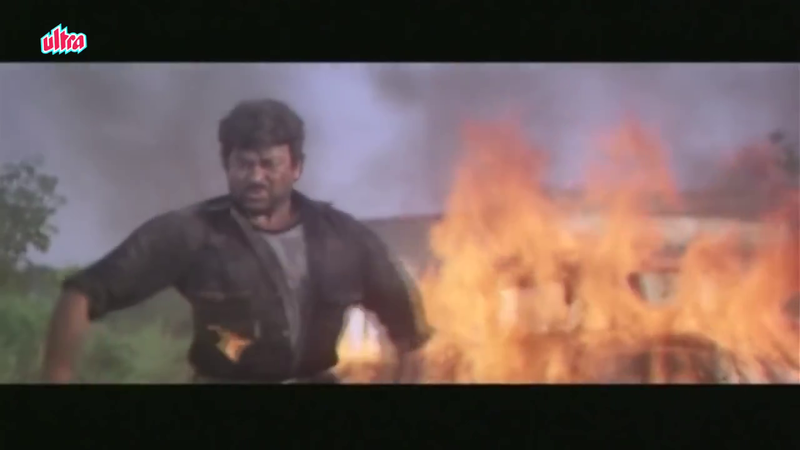 (He has a curse laid upon him by a grieving mother, the fiery Suhas Joshi, as payback for killing her son.) 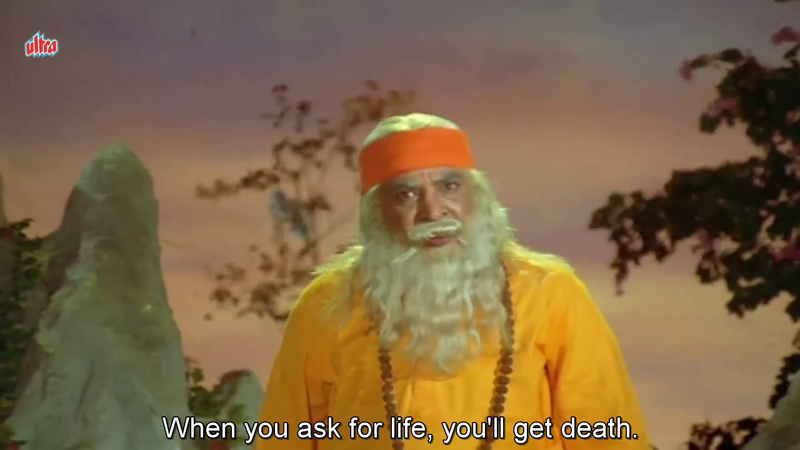 He could have asked his guru (Satyendra Kapoor) for help except he had him trapped in a giant bird cage and stole his power. He interrupts Mohini and Nagesh on their full moon night of love and they transform into children, hoping to hide in the crowd at a nearby fair. In all the confusion the children are separated. 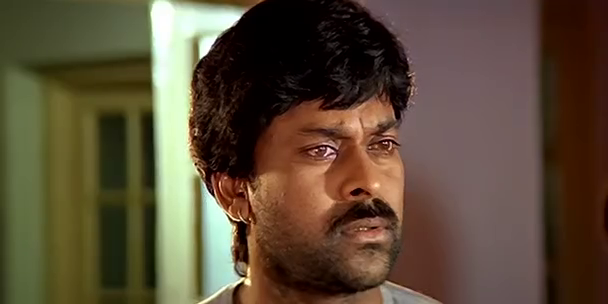 Nagesh is mistaken for Kamal, a landlord’s son who he saved from being sacrificed by ‘tribal’ people, and taken home despite his denials. 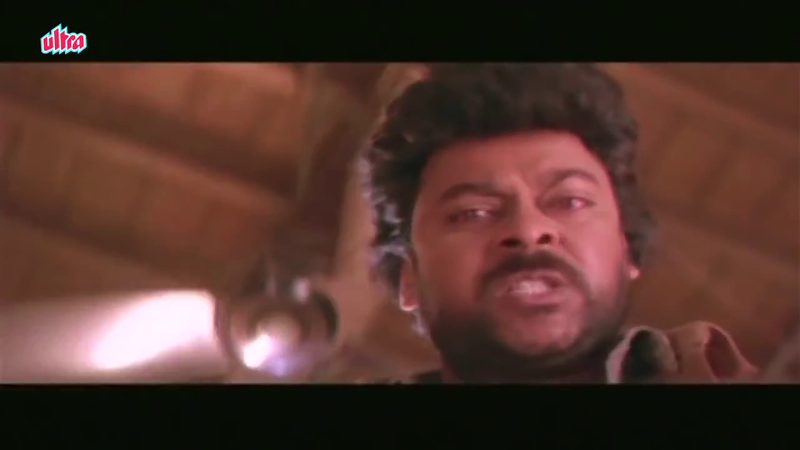 Kamal is taken by the sorcerer who thinks he has captured the snake. 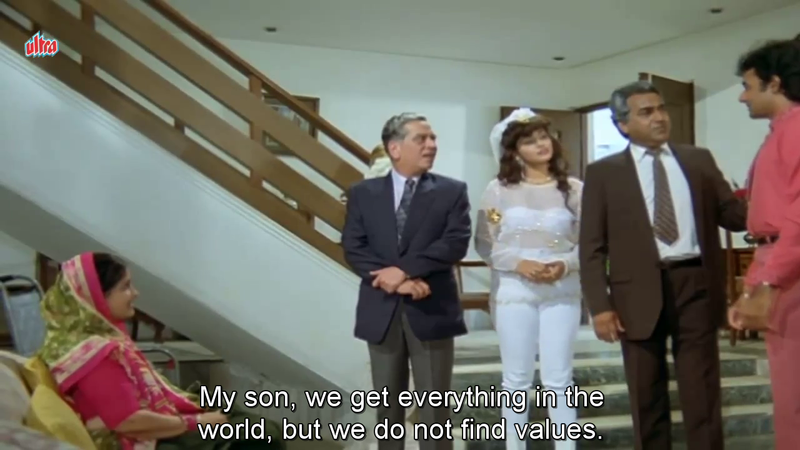 His wife Subhadra pleads to keep the boy and raise him as their son, which Kamal takes to easily thanks to some filmi amnesia. 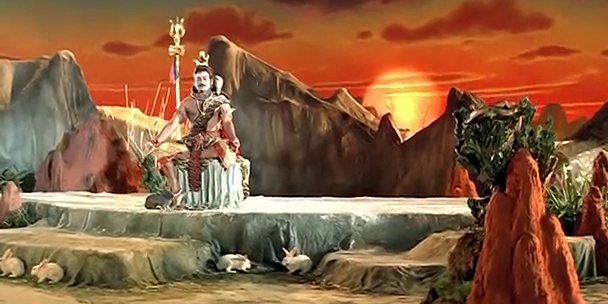 And poor distraught Mohini is rescued by kindly gypsies and raised as their own. Time passes, and the magician is running out of time to find a cure. 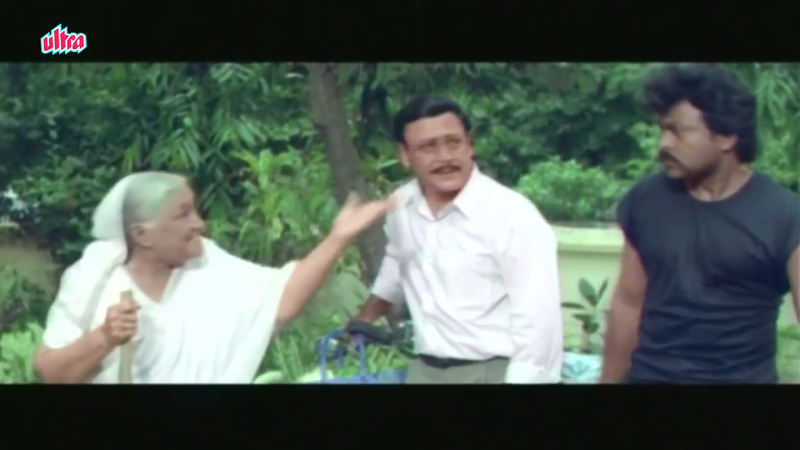 Kamal/Nagesh takes a vow not to leave Kamal’s ma as she becomes dangerously ill when stressed so he is stuck, waiting for a solution but not doing much to find one. 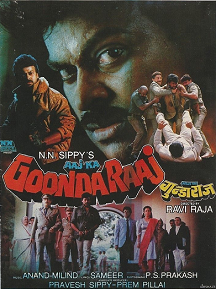 Nagesh and Mohini find each other, Kamal and the baddies find them, and things rattle along to the exciting final confrontation. 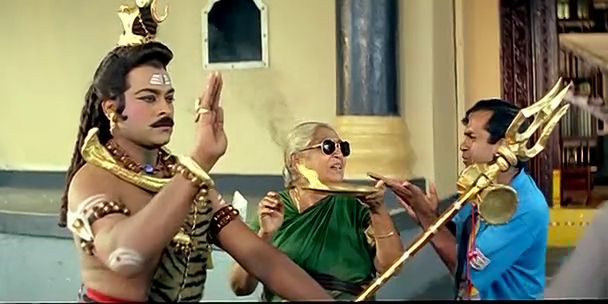 I really like Meenakshi as Mohini, but was even more impressed that this is a film where the entire climax sequence happens without the purported hero. 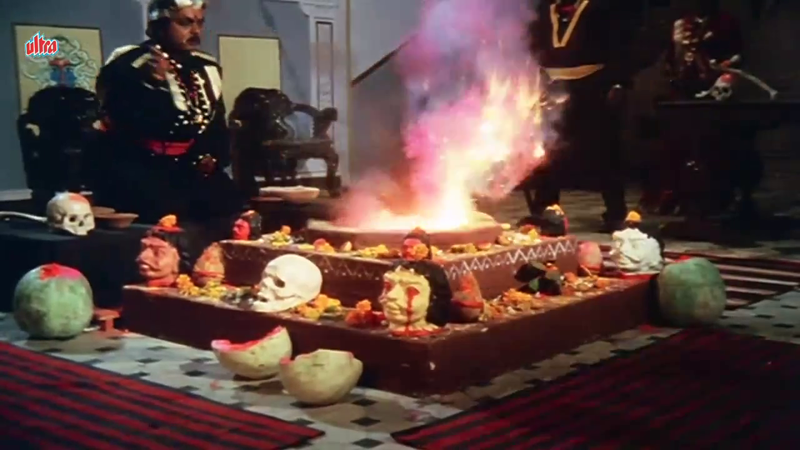 Mohini and the good guru take on the evil tantric to try and prevent him from gaining more power and overcoming his creeping rot. There are loads of special effects and there is a fairytale feel to the battle between good and evil that contrasts nicely with a quite earthy romance. 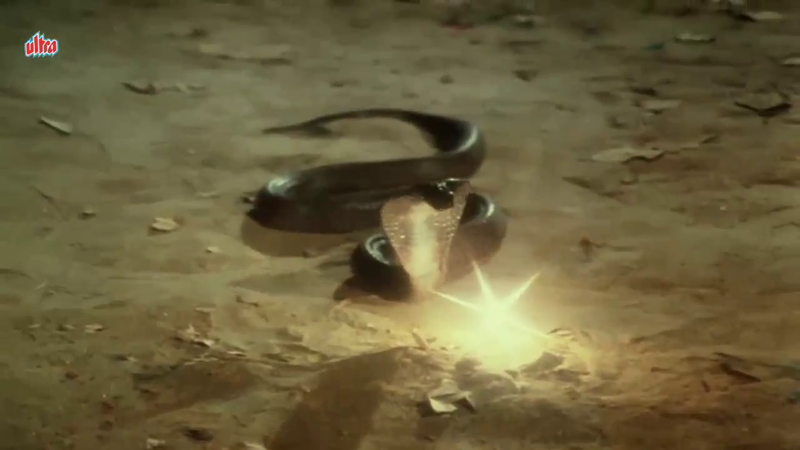 I was saddened by the use of animals in some scenes, but there is only one incident where I thought there was a genuine prospect of injury or death (a snake versus mongoose battle). For the most the death and destruction is stylised so the drama plays out as engaging and a bit exciting without being at all realistic. 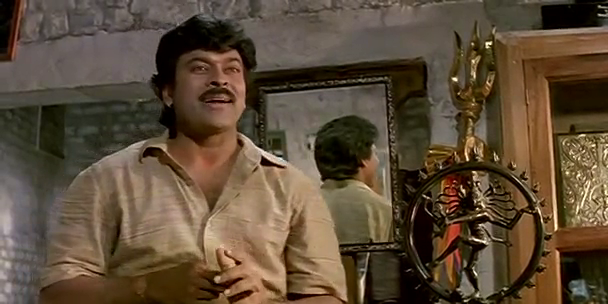 Meenakshi is lovely despite the hair and wardrobe choices in most scenes. My only explanation for the backward bustle or peplum on the white dress was that perhaps it was really an egg pouch. I know if I was a self willed married lady snake I would not want to be bothering with 40 weeks of gestation plus labour. 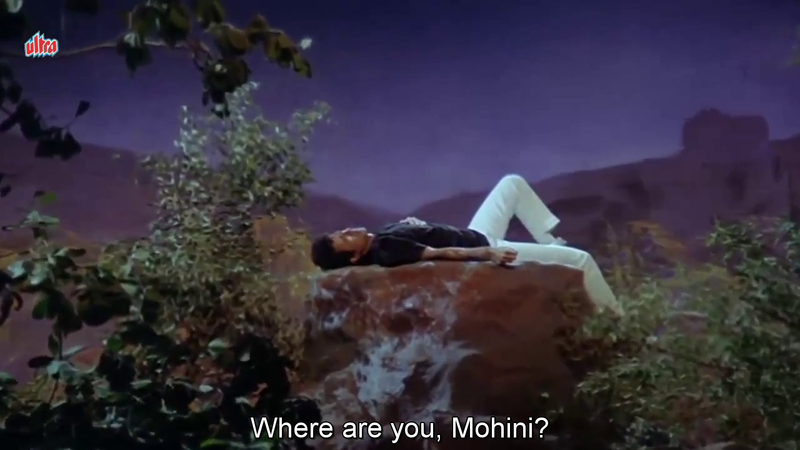 Her Mohini is heartbroken and wants to find Nagesh more than anything. But she also forms a strong loving relationship with her adopted family, and retains her sense of self-worth. There are some unfortunate comedy incidents, but I quite liked seeing a creepy Romeo terrorised by the pretty snake lady. 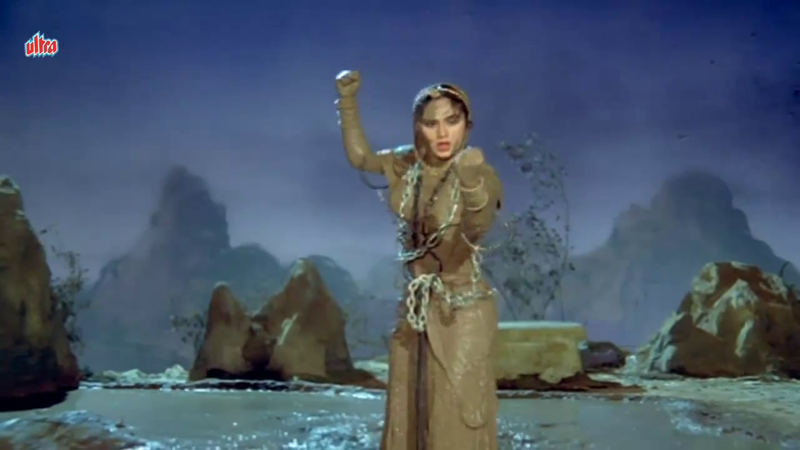 Mohini dance-fights her way through the final encounter and Meenakshi shows both the disadvantage of a small woman trying to beat a man in a physical fight and the power of her will and determination to be victorious. Her posture and energy changes to show the gradual loss of strength and the corresponding increase in desperation. 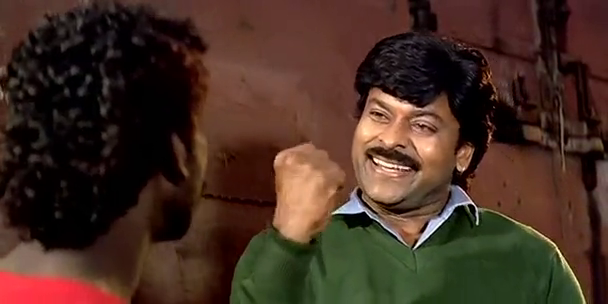 Nitish Bharadwaj plays adult Nagesh and Kamal. I have to say, apart from his mullet and some interesting outfits in songs, he made little impression. 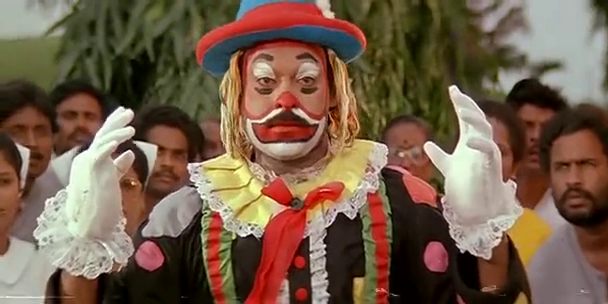 The highlight of his performance is probably his comic aversion to Roop, the girl his parents want him to marry. 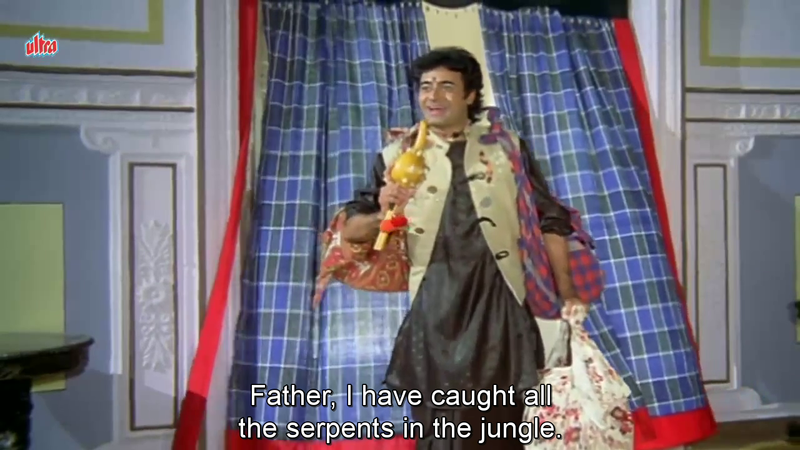 There is a brilliant meta moment when Roop makes Nagesh/Kamal watch her dance against the background of Sri Devi in Nagin. 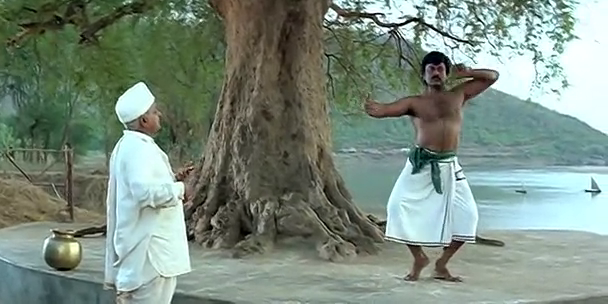 Roop does a terribly cheesy and not at all alluring ‘snake dance’ as Nagesh is captivated by the music, leading to his, ahem, premature transformation. I love that even in that silly scene, there is room for more plot development and film references. Nitish is adequate without being particularly good or bad. Since his characters main contribution to the plot is just to be who they are, it all works out. Was that book some kind of compulsory family reading? There are stacks of copies in the house. Perplexing. 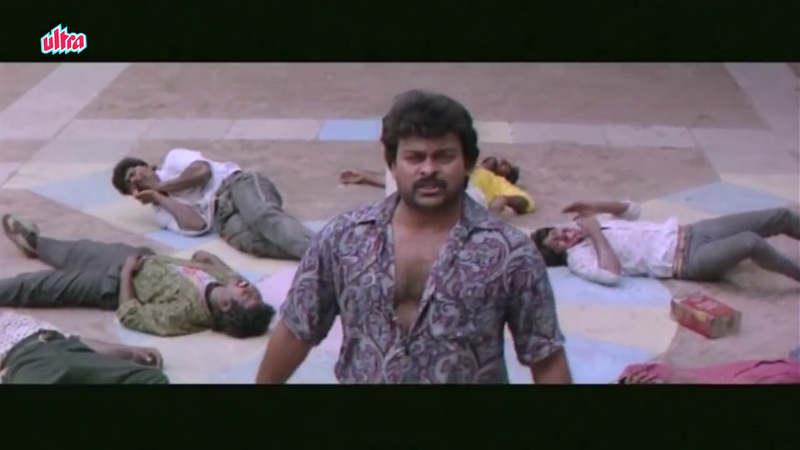 Sadashiv Amrapurkar throws himself into the villainous role with gusto. 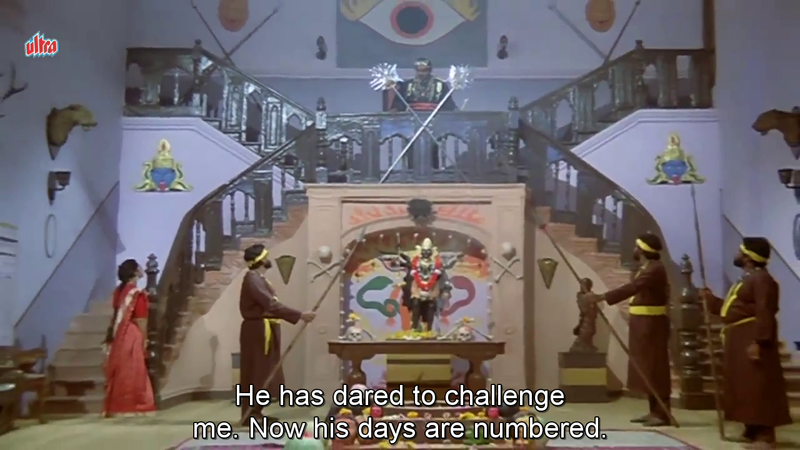 He goes from ashram to megalomaniacal dictator décor in a heartbeat and seems content with being bad. If only he could get rid of that pesky leprosy! 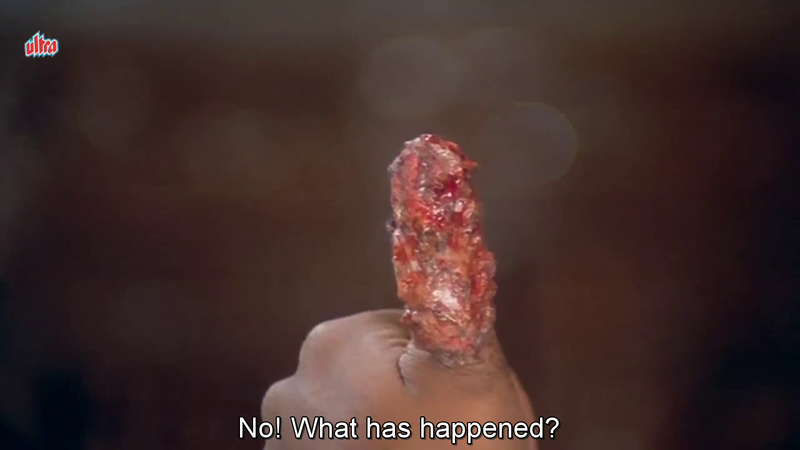 He spends much of the film trudging up hill and down dale, looking for the snake with the naag mani. 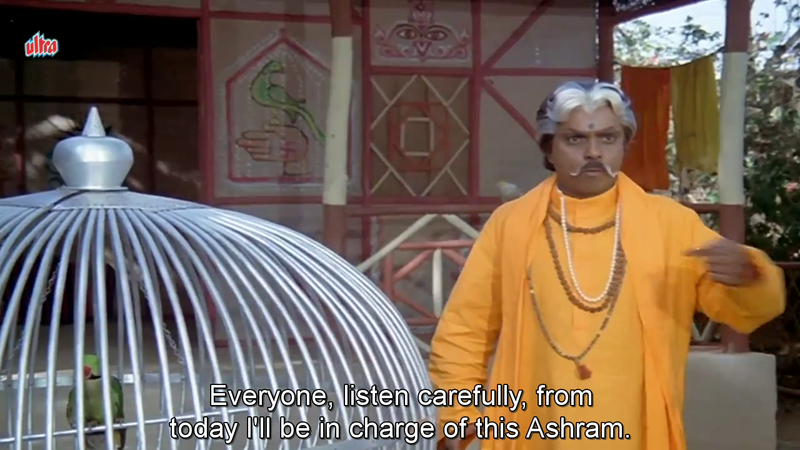 Satyendra Kapoor is stately and saintly in his flowing wig. He is like the voice of your conscience that never quiet goes silent. 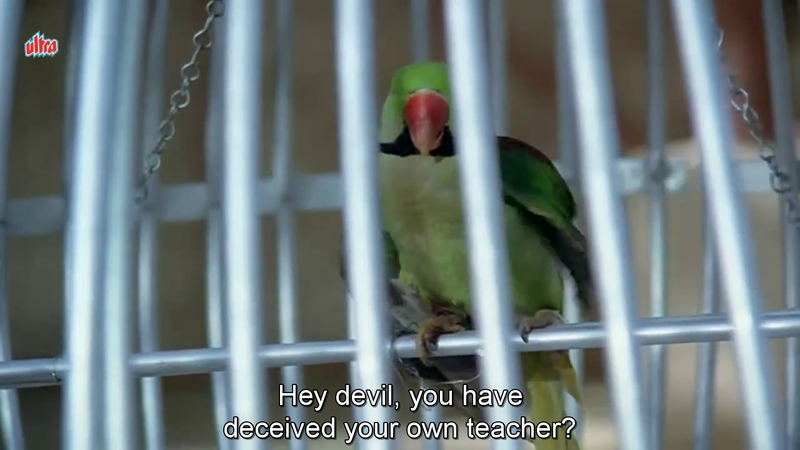 A lot of his role is done by voice over as the parrot got the most screen time. 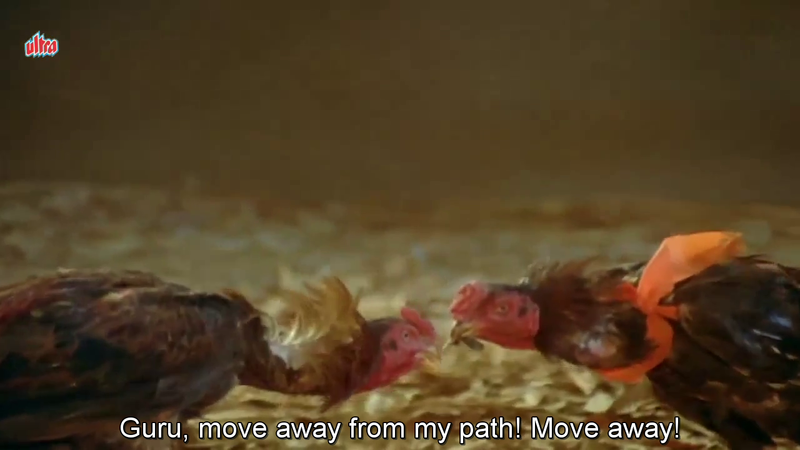 The final duel between guru and wayward disciple is something else as they transform into a series of animals with rich inner monologues. Sahila Chaddha is Roop, but you could also call her Sporty Bridal Wear Lady or WTF Is She Wearing Lady. She is bubbly and determined to get her man. I enjoyed her antics as she tried to anticipate his objections and overcome them, usually through multiple costume changes and a dance. 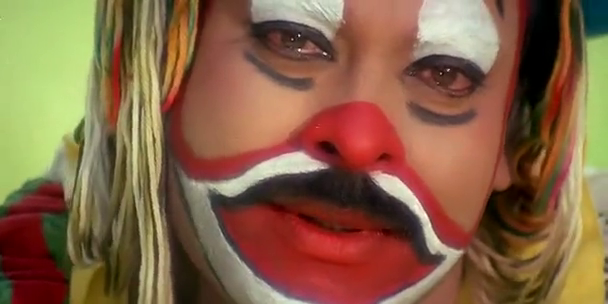 Kamal’s mother enjoyed watching her son’s discomfort and encouraged Roop too. 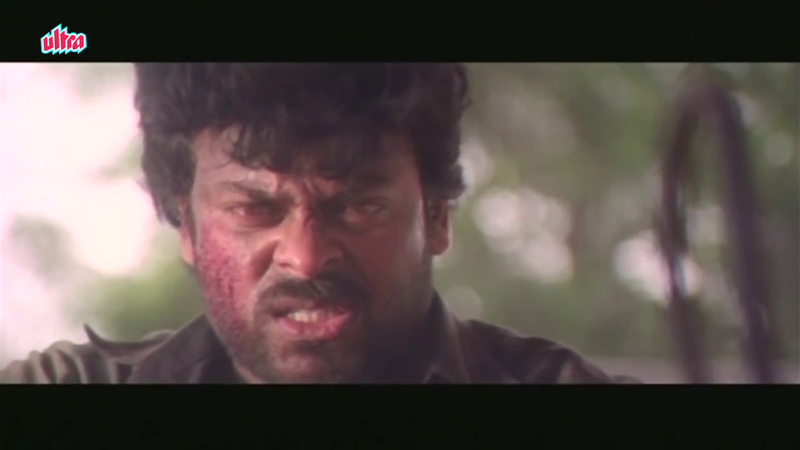 I never felt sorry for Roop as Kamal/Nagesh was so obviously not keen and yet she persisted. 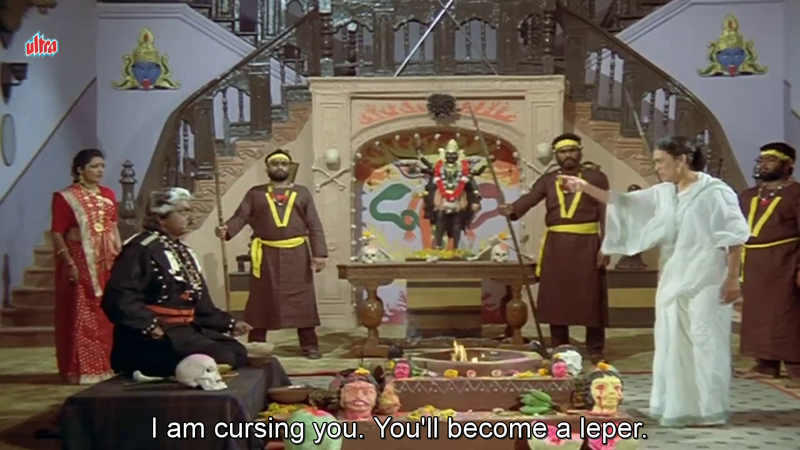 Plus she was needlessly vindictive and nearly got Mohini killed. 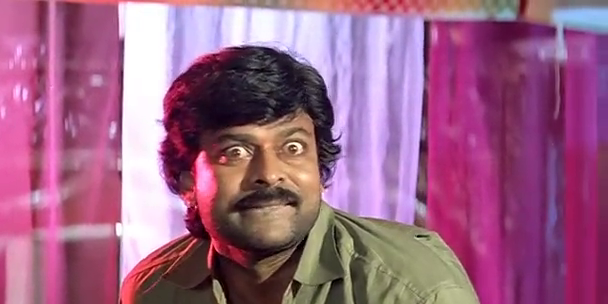 Not cool Roop. 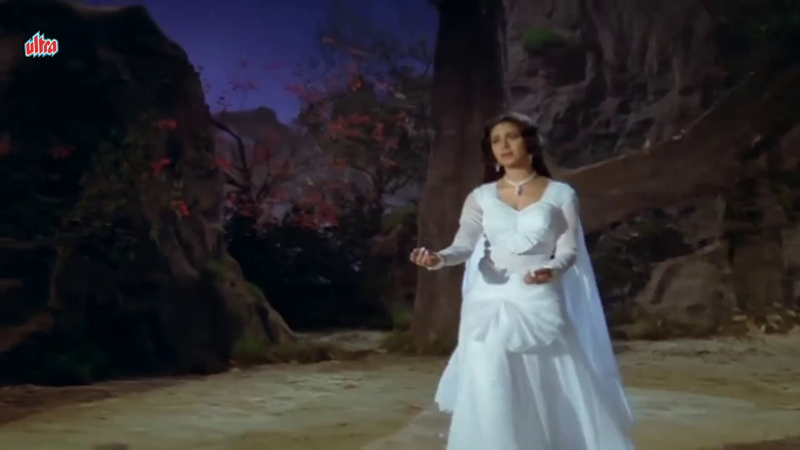 The songs (by Kalyanji-Anandji) are colourful and mostly uptempo. They didn’t have a huge budget for sets but they did get a good bulk deal on sequins so there is lots of sparkle. Meenakshi does most of the dancing as Nitish Jeetendras his way around the set. 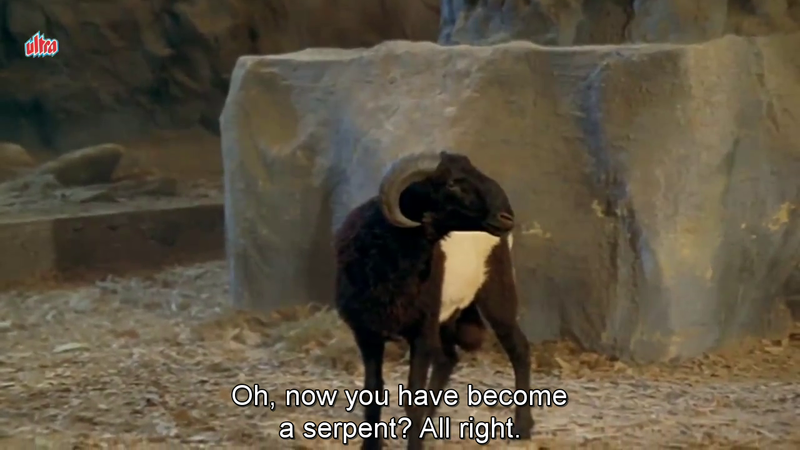 He did do some slithering which was kind of interesting if not strictly speaking good. Or to quote Beth “Kya slither hai!” Both the hero and heroine were submerged in the water feature so were each subjected to the lingering clingy clothing shots. Considering snake attire, the subject matter, and the era, this film largely eschews sleaze. There was some conversation about a certain “pajamas – now you see them now you don’t” scene, but these are married snakes of legal age so it is really no one business but their own. If you want an entertaining film tinged with fantasy and magic, with baddies you can really dislike and goodies that are mostly likeable and right, packed with songs and visual effects, this would be an excellent choice. It is now available on YouTube with subtitles so why wait? 4 stars!